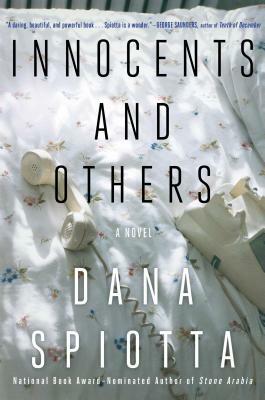 Dana Spiotta is the author of Innocents and Others; Stone Arabia, A National Books Critics Circle Award finalist; and Eat the Document, a finalist for the National Book Award. Spiotta is a recipient of a Guggenheim Fellowship and the Rome Prize for Literature. She lives in Syracuse, New York. "What a thrilling ride. And what a delight to be at the receiving end of so much virtuosic caring. A daring and beautiful meditation about selfishness and selflessness, and how to be in the world. A powerful book that will stay with me and continue to speak to me for a long time. Spiotta is a wonder." “Expansive... Spiotta's omniscient intelligence is employed in layering ironies and superimposing themes of memory, identity, reality and representation while building toward the two women’s inevitable convergence…We can edit versions of ourselves forever, [Innocents and Others] suggests, but there is no super-cut that can erase the pain we cause." "Radiant, concentrated... a compassionate, unsparing book, full of provocative ideas about art, ethics and the formation of sensibility... simultaneously vast and local, exploring great American themes (self-invention, historical amnesia) within idiosyncratic worlds (phone phreaks, ’80s Los Angeles adolescence). She has been compared with Don DeLillo and Joan Didion, but her tone and mood are distinctly her own: She’s fascinated, not alienatedRadiant, concentrated... a compassionate, unsparing book, full of provocative ideas about art, ethics and the formation of sensibility... simultaneously vast and local, exploring great American themes (self-invention, historical amnesia) within idiosyncratic worlds (phone phreaks, ’80s Los Angeles adolescence). She has been compared with Don DeLillo and Joan Didion, but her tone and mood are distinctly her own: She’s fascinated, not alienated."